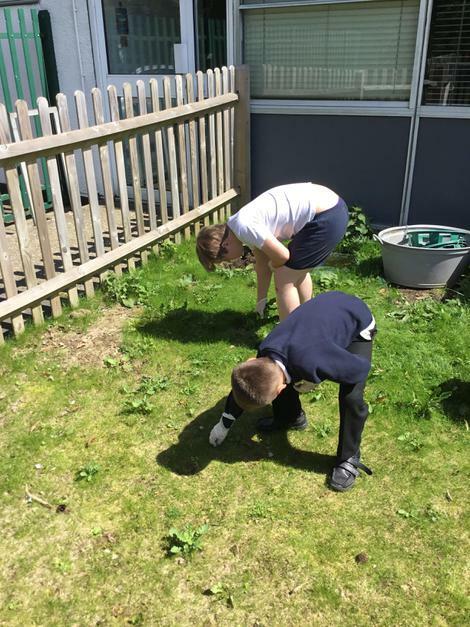 Class 3LW on the Tunbridge Wells site are lucky enough to have a garden right outside their classroom. 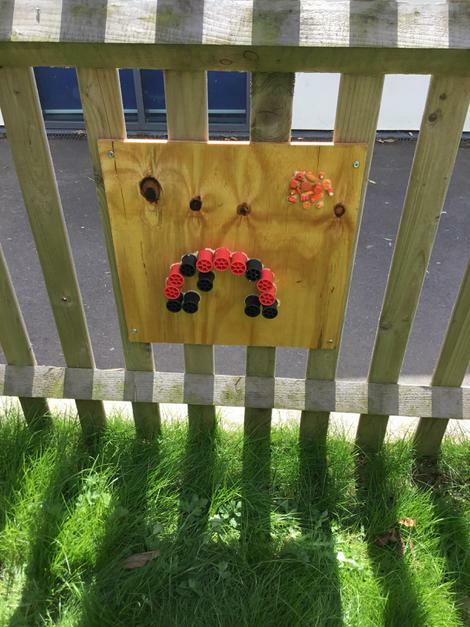 This term they have been working to make it into a sensory garden so that they can invite their friends across the school to come and enjoy it with them. 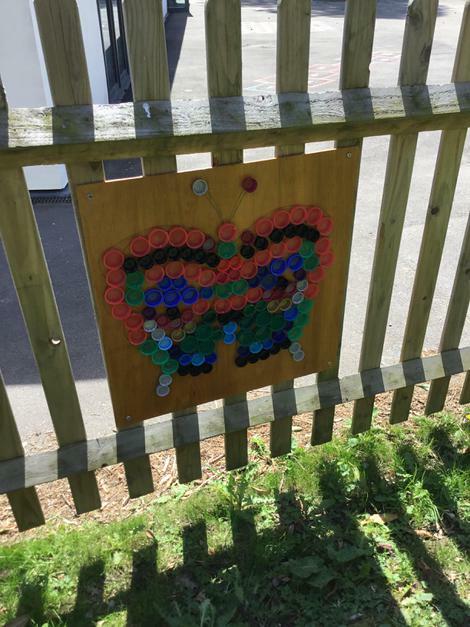 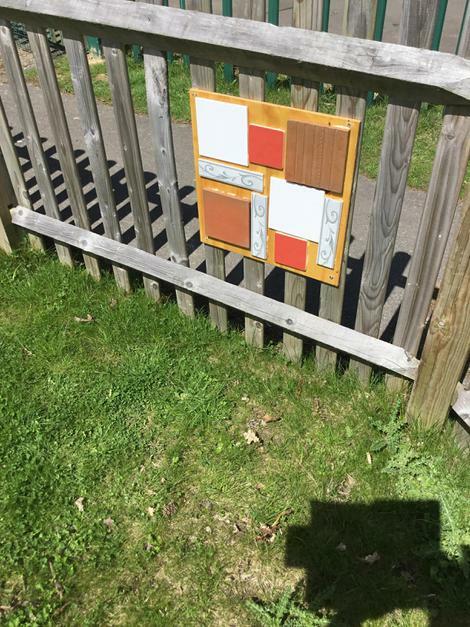 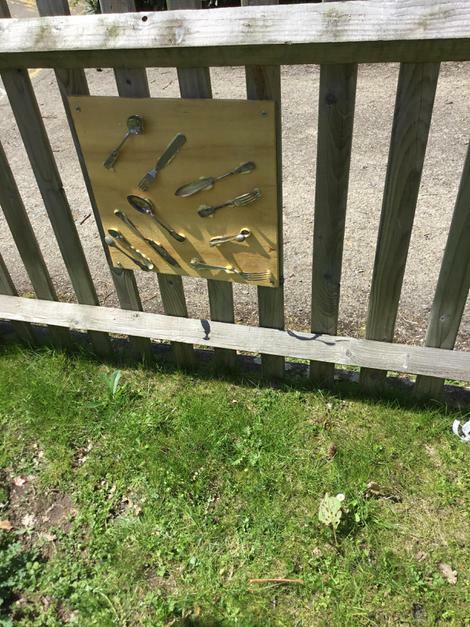 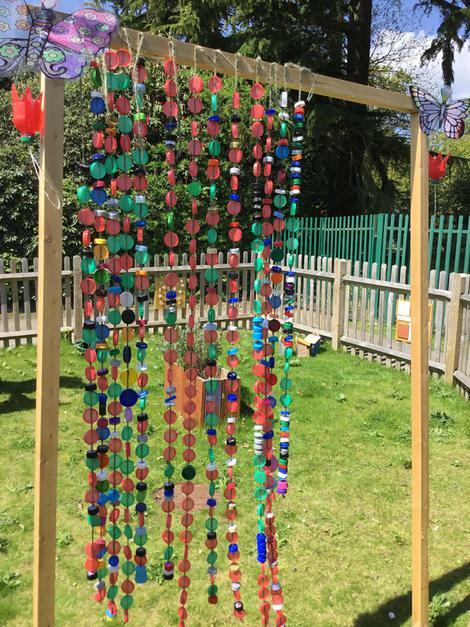 They have made sensory boards for the fence from tiles, cutlery, bottle tops and shells and thanks to the kind donations of people from school and their families, they are creating a bottle top curtain. 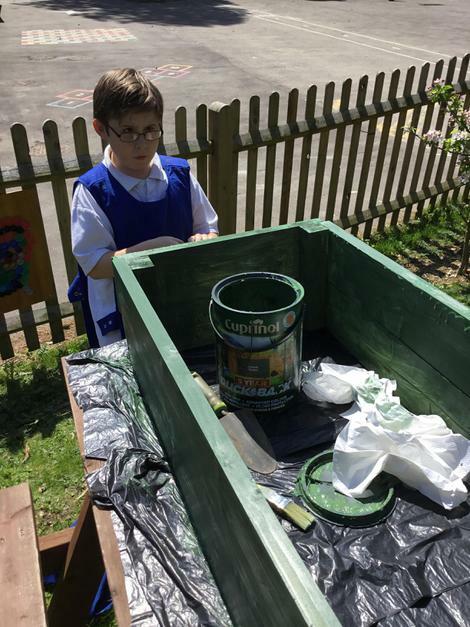 James and Class 4JC have also made 3LW some planters for herbs and flowers. 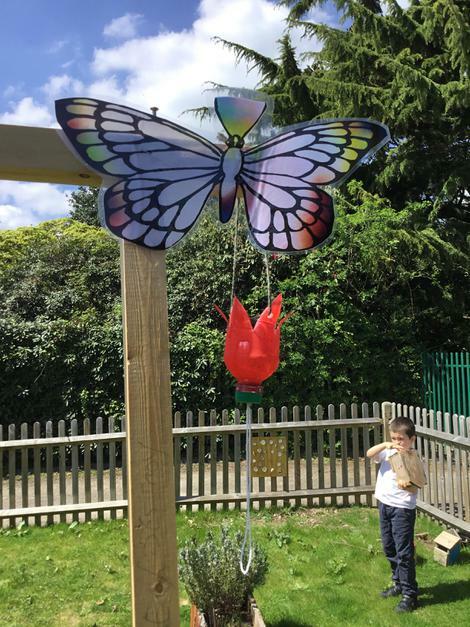 The garden will be finished off with some butterfly feeders and colourful pictures the pupils hope will attract butterflies into the garden in the summer.